preparing not just for school, but for life." Come to the Pinewoods Montessori Open House and explore our classrooms, meet our teachers and discover what makes this community so special. We are enrolling children ages 18 months through 12 years old for the 2014-2015 school year. 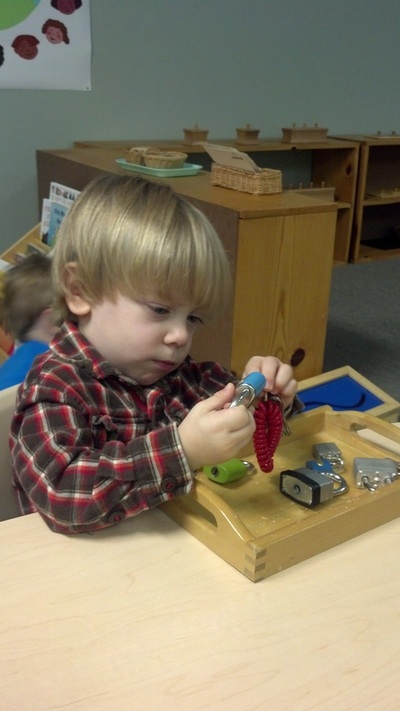 Pinewoods offers 3 mornings or 5 mornings a week for our half day toddler and preschool program. We are located in Historic Hillsborough, NC, convenient to Mebane, Chapel Hill and north Durham. We are close to I-85 and I-40. For more information, or to schedule a private tour, please email or call 919-644-2090 anytime. Locks focus on fine motor skills. Children love locking and unlocking! 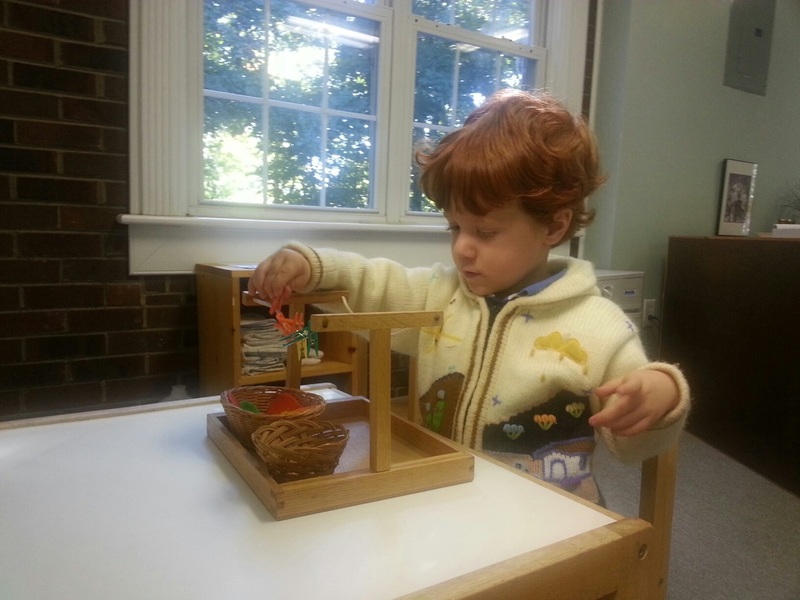 A miniature clothes line offers more opportunity for motor skills and executive function. 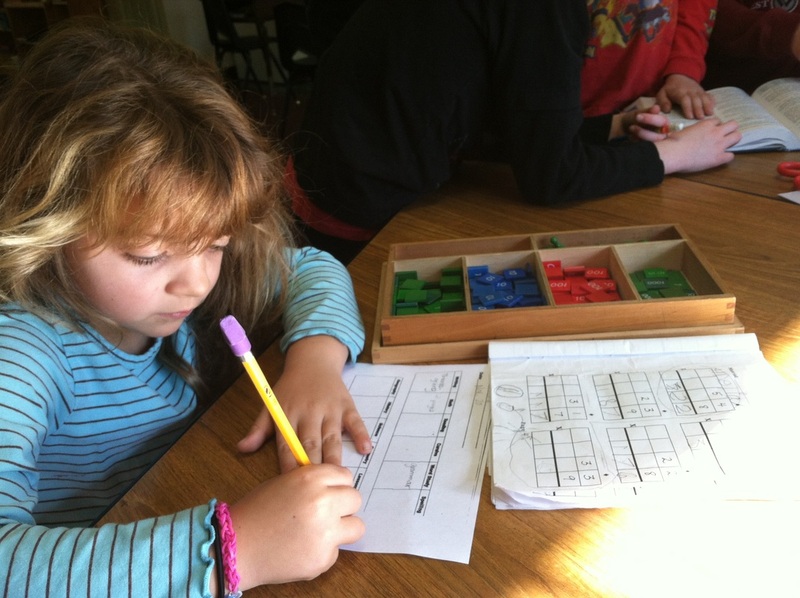 In the elementary class, a student uses a stamp box to learn math concepts. "Since our daughter has been a student at Pinewoods, I have been repeatedly impressed with her growth, both academically and as a person." "I suspect most children don't even know the word research and the Pinewoods children are fully engaged in their own version of research into the unknown -- at least unknown to them and sometimes to us!" "I [am] most impressed with the Pinewoods family. The school staff is exceptional and the other parents welcomed us into that family." 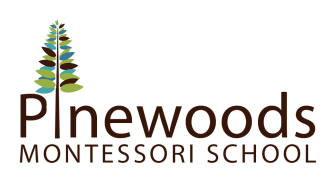 "We have thoroughly enjoyed having Pinewoods jump start our child imagination and his education, and truly appreciate the community it has invited us to be a part of." "At dinner, [our child] gave my husband and I a 10-minute recap (full of detail and wonder) on what she learned that day at school about the beginnings of the universe. My kid is excited about learning and proud of her work-- we are happy!"